You are here: Home / Blogs / What is a Shareholders’ Agreement and What Must Be Included in the Agreement? 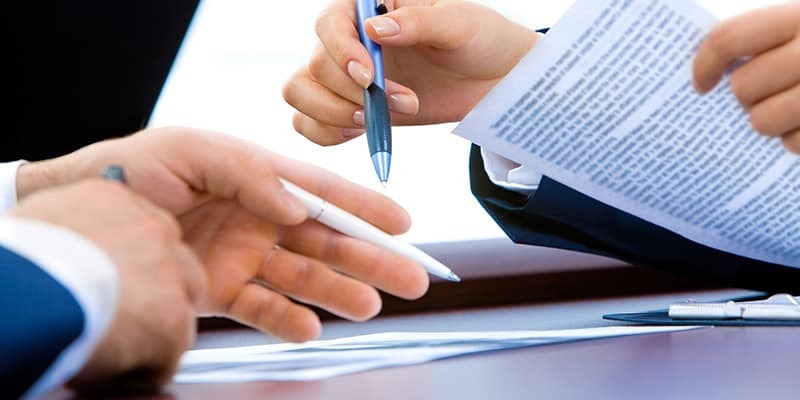 A Shareholders’ Agreement is a legal document that sets out the rights and obligations of the shareholders in a company and also spells out the shareholders’ relations and the management of the company. The purpose of the agreement is to define the rights of the shareholder and protect their investment in the company as well as to establish the rules that govern how the company is managed, and critical decisions are made. As for the parties to the agreement, it could be all the shareholders or some of the shareholders or the shareholders and the company. It is akin to a Partnership Agreement in a partnership entity. Why do you need a Shareholders’ Agreement? The agreement helps the shareholders make informed decisions and ensures that all of them are on the same page regarding the critical elements such as dividend policy, voting rights, signatories, issue of additional shares, admission of new shareholders and exit of shareholders. Establishing such common grounds of understanding minimises the potential disputes, and even if disputes arise, the agreement stipulates the procedures for resolution thus preventing the propensity of the disputes to affect the normal conduct of the business. The agreement also protects the rights of the shareholders, especially the minority shareholders can rest assured of their rights in the company. More importantly, the agreement can set forth more specific and important rules regarding the company and the relationship between the shareholders, and unlike the constitution, which is available for public viewing, the agreement is a private document hence can uphold the confidentiality of the parties. When should a Shareholders’ Agreement be established? Unlike the Constitution of Company, a Shareholder Agreement is not mandatory. However, it is highly recommended to have one if the company has more than one shareholder. Although the shareholders can enter into an agreement at any time, having a Shareholder Agreement in place early in the company incorporation process has several benefits besides ensuring a smooth relationship between the shareholders and management of the company. The parties to the agreement gain a clear understanding of their rights and obligations, and it precludes any assumptions and presumptions regarding shareholder relations. It effectively prevents the parties to the agreement from making any extracontractual claims in the event of a fallout among the shareholders. Like any partnership arrangement dispute is also common among shareholders of a company; therefore, to avoid any acrimonious dispute in the future, it is essential to categorically stipulate the rights and obligations of each shareholder in the form of an agreement at the time of setting up the company. Though the agreement may appear as a non-priority amidst the frenzy and excitement of setting up a new company, it could be difficult for the shareholders to arrive at an agreement at a later point in time. Because the expectations, priorities and commitments of the shareholders would have changed or some of them would have gained significant control over the business, and the power equations would have altered making it difficult for the shareholders to agree on the terms. So it is essential to have an agreement in place at the time of setting up a company. 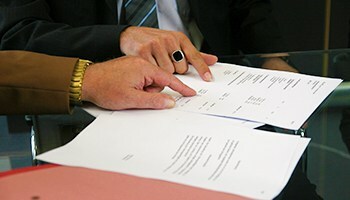 Each Shareholders’ Agreement is specific to a particular company and needs to include clauses that address the scenarios and conditions that are unique to the company and its shareholders. The scope of the agreement can differ considerably and range from consequences of death or disability of a shareholder, rules relating to financing of the business, events of defaults and its consequences, to provisions pertaining to sale or transfer of shares and termination. Thus the agreement may regulate any matter that can be legally agreed upon between the parties, and the content is largely determined by the commercial objectives of the parties to the agreement. However, there are certain provisions which are common in a Shareholders’ Agreement, and they are discussed below. Directors and Board: The clause may stipulate how often a board should meet and may dictate the composition of the board of directors, or provide for board reserved matters, whereby the approval of a director nominated by a particular shareholder is required for decisions in respect of the reserved matters. The board composition clause may set out the number of directors comprising the board and the manner in which directors are appointed. Reserved Matters: It sets out the matters which require the approval of all shareholders or a particular shareholder (or his nominee director in board meetings) is entitled to veto. Thus by listing out the reserved matters the shareholders’ rights are protected, and they have a chance to veto decisions that jeopardise their rights or investments in the company. Typically matters relating to borrowing, making loans, giving guarantees, changing the share capital, paying dividends, acquiring/disposing of particular assets, amending memorandum or articles of association and voluntary winding up of the company are reserved. This ensures a balance of power. Guarantees and Indemnities: It sets out the extent to which the shareholders are liable to the guarantees provided by the company. In addition, it sets out the obligation of the shareholders and company, where a shareholder has disposed of all of his/her investment, to discharge or cancel any guarantee or pledge issued and indemnify the departing shareholder of all liabilities arising with respect to such a guarantee or pledge. Board Consent: The consent of the board of directors must be obtained in respect of any transfer of shares. Right of First Refusal: A shareholder who wishes to sell his shares must first offer his shares to the other shareholders in proportion to their shareholdings. If the other shareholders do not exercise their rights to buy the shares, the selling shareholder may offer these shares to a third party at the same price and subject to the same conditions. Tag Along Rights: It is the right of the remaining shareholders (usually the minority shareholders) to compel the selling shareholder ( usually the majority shareholder), who wishes to sell to a third party, to procure that the third party purchaser shall also purchase their shares on the same terms. Drag Along Rights: It is the right of a selling shareholder (usually the majority shareholder) who wishes to sell all his shares to a third party. He may exercise this right to compel the remaining shareholders to sell their shares to the third party purchaser on the same terms. Russian Roulette: A shareholder may serve notice on another shareholder offering either to buy the shares of the other shareholder or to sell the shares to the other shareholder, at a specified price. The other shareholder may accept either of the offers. Compulsory Transfer: Upon the occurrence of a specified event, a shareholder shall be compelled to transfer all his shares to the remaining shareholders or a third party purchaser approved by the board of directors. Permitted Transfer: Permitted transfers are exceptions to the restrictions on share transfers, which allow shareholders to freely transfer their shares to certain persons. Financing: This clause sets out the shareholders’ capital commitments or obligations to guarantee loans, if applicable. Though institutional lenders remain the conventional source of financing, at times the shareholders may agree to lend the company a proportionate share personally. Likewise, when loans are made to the company the lender may require the shareholders to provide joint and several guarantees. The clause sets out the obligations to finance the debt or provide guarantees and the consequences of default. Events of Default: This clause sets out matters which constitute an event of default and the consequences of such default. Events of default are generally acts of commission or omission by a shareholder that results in certain privileges being conferred on the other shareholders, and typically this involves the buyout of the defaulter’s shares at a discounted price. Among others, some common events of default include bankruptcy, not fulfilling the obligations under the agreement, permitting creditors to seize shares and ceasing to be a Singapore citizen. 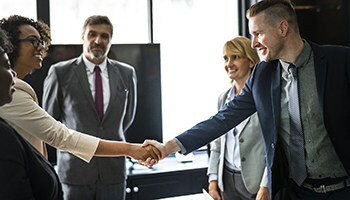 Dispute Resolution: This clause sets out the means of resolving conflicts among the shareholders by spelling out the terms of enforced share sales, whereby, the points such as who sells and who buys, at what price and when does the sales take effect are covered. This reduces the time and cost of resolving a dispute. Non-Solicitation and Non-Competition: This clause sets out the shareholders’ covenants not to solicit employees, suppliers or clients of the company, and not to engage in any business that competes with the business of the company. 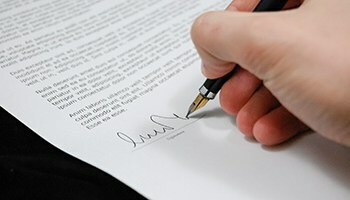 Deed of Adherence: In the event of new shareholders being admitted into the company, to ensure that all new shareholders adhere to the original agreement, the shareholders’ agreement will typically contain a provision requiring any new shareholder to become a party to the Shareholders’ Agreement by signing a deed of adherence before the allotment/transfer of shares. Conflict with Articles: This provides that in the event of a conflict between Articles and the shareholders’ agreement, the Shareholders’ Agreement will prevail.